The 25-year-old has had an accomplished career, which includes an Asian Games gold, a world championship bronze, Asian Championships silver and bronze. 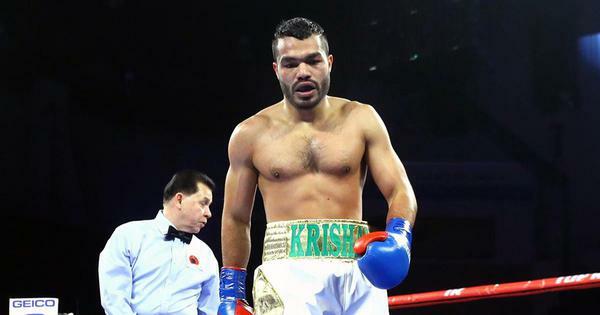 One of India’s most decorated amateur boxers, Vikas Krishan on Wednesday said he will turn professional by the end of this year, putting into action a plan he originally wanted to implement after the 2016 Rio Olympics. Speaking to PTI after confirming his maiden Commonwealth Games medal by advancing to the semi-finals in Gold Coast, Vikas said he is now fully prepared to go ahead with his long-held ambition. “I have made up my mind, I am turning professional at the end of this year. I will be holding discussions with the federation and I am hopeful that they would be supportive. I don’t want to do anything which they resent,” the middle-weight 75kg category boxer said. The 25-year-old Haryana-boxer has had an accomplished career, which includes an Asian Games gold medal, a world championships bronze medal, Asian Championships silver and bronze and a quarterfinal finish at the Olympics. He had spoken about turning professional after the Rio Games but changed his plans when he could not secure a medal. “This time, I am quite sure about it. I think this is right time because Olympics is no longer off-limits for professional boxers and that takes care of my dream of an Olympic medal. I just hope the federation supports me the way it has always supported me,” he said. Vikas has looked a stronger and more agile boxer in recent competitions and was quite compact in his win over Benny Muzio on Wednesday. The standout feature of his tactics today was a solid guard, which thwarted almost every attack thrown at him. “Yes I have worked on my guard, I have become more sure of when to lower it and when to go into a shell. The timing has improved for me. I didn’t pay enough attention to it in the past,” he said. “My strength and endurance has also improved so things are going pretty well for me. A lot of it has been possible because of the federation’s support, I am really thankful to them,” he added. Next up for Vikas in the semifinals of the ongoing Games is Northern Ireland’s Steven Donelley.